DC Comics has released their November 2018 solicitations. The veteran comic book publisher teased its fans on what they can expect for their favorite characters as they chow down on turkey and wait by their computers to grag this year’s Black Friday deals. Here are some of the DCU stories that Jake’s Take is excited to read! 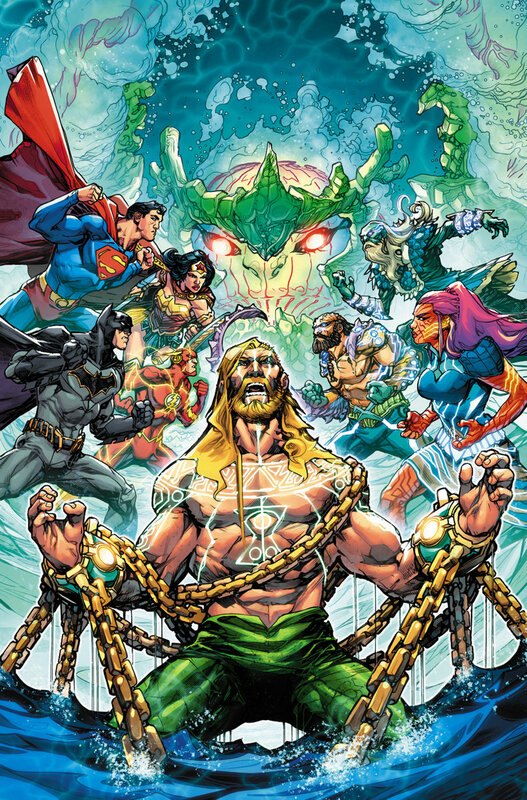 The Justice League will face the vindictive Ocean Lords as they target Atlantis and the planet in this crossover event called “Drowned Earth.” As Aquaman and Wonder Woman must lead the charge against these demonic gods, the Legion of Doom will strike, and only a battered Batman can stop them. “Drowned Earth” will have two one-shots that will be on sale respectively on October 31 and November 28, which will be written respectively by James Tynion IV and Scott Snyder, with art from Howard Porter and Francis Manapul. The duo will also rotate Justice League writing duties with Snyder taking on issue 11 (November 7) with Manapul on art, and Tynion IV will team up with artist Frazer Irving for issue 12 (November 21). Meanwhile, Dan Abnett and Lan Medina will focus on the King of the Seven Seas’ point of view in Aquaman #42 (November 21). Doomsday Clock’s eighth issue is expected to drop into stores on November 28. The maxi-series’ eighth issue is expected to show the reasons why Dr. Manhattan decided to mess with the DC Universe and will see Ozymandias beg Superman to stop the omnipotent being from doing more damage. Geoff Johns and Gary Frank make up this blockbuster story’s creative team. Grant Morrison, one of DC Comics’ greatest writers of all-time, will tackle the Green Lantern Corps! 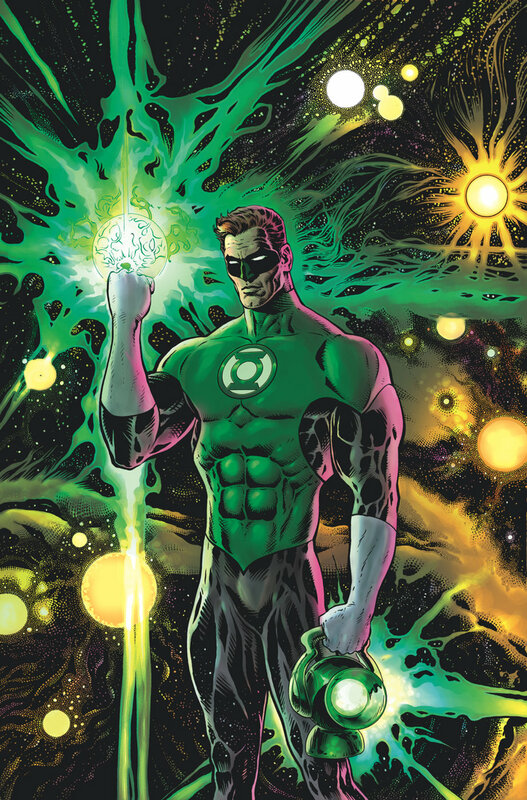 The Green Lantern, a new ongoing series written by Morrison and art by Liam Sharp, will focus on Hal Jordan’s adventures as a space cop. His mission…find the traitor that is in the Green Lantern Corps’ ranks. The first issue is scheduled to drop on November 7. In addition to Doomsday Clock, Geoff Johns will reunite with his Justice Society of America collaborator to welcome Shazam (Billy Batson) back to the DCU. As Billy struggles with finding the correct balance between academics and superhero duties, two of his deadliest foes, Dr. Sivana and Mr. Mind, are about to team up take down the legendary superhero. Will they succeed? Find out on November 21 when the first issue drops! Tom King and Mikel Janin will bring Oswald Cobblepot back into Batman’s world. Months after being dumped by Selina and saving Mr. Freeze, an unknown enemy has targeted the legendary Gotham City crime boss. The only person that the Penguin could turn to is the Dark Knight! Will Batman and Penguin become the new dynamic duo? 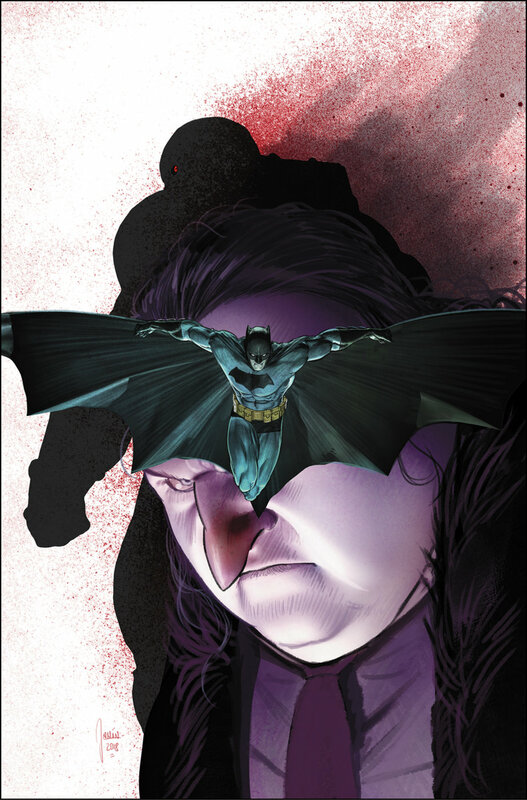 Batman #58 will drop on November 7, while Batman #59 will drop on November 21. In a cruel twist of fate, Task Force X mastermind Amanda Waller has been imprisoned with a brain bomb transplanted into her skull. Her old rival, Rick Flag, is the only person that could help her out of this predicament. But will he help her? Suicide Squad writer Rob Williams and the art team of Diogenes Neves and Scott Hanna will present the first chapter of this storyline in issue 48, which will drop on November 14! 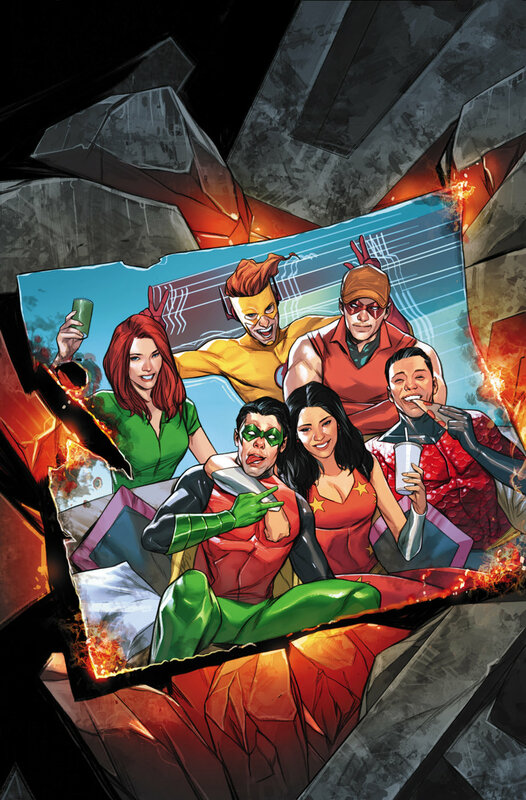 The last story that Jake’s Take is previewing is Titans! Writer Dan Abnett and guest artist Minkyu Jung will transport Nightwing and company into space as they land on an unknown planet. However, the team’s luck is about to run out as this excursion will force them to tackle their demons. Can this superhero team regroup or will their bestial tendencies get the best of them? Part one of “Marooned” will drop in issue 29 (November 14), and issue 30 will be released on November 28. What DCU stories are you looking forward to reading this November?